For many beauty and personal care product companies, keeping as many operational secrets as possible is the name of the game. 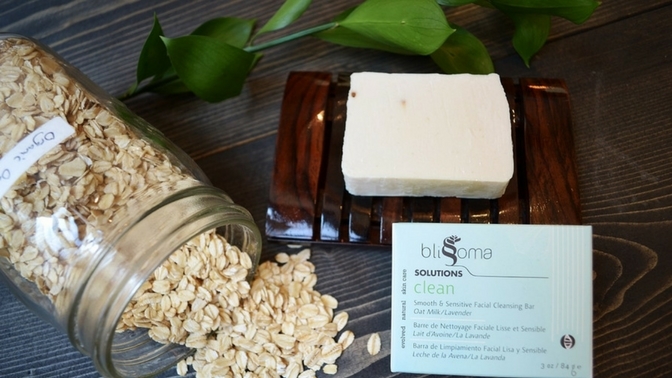 But for Blissoma, they’d rather operate with transparency…and why not, with a focus on connecting people to the benefits of plant-based personal care products, and basing product formulations on research instead of hype, what’s there to hide? 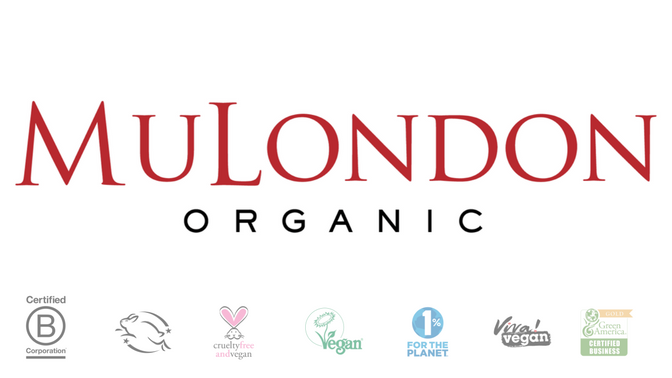 We’ve caught up with Julie Longyear, Herbal Chemist and Founder at Blissoma, to find out what drives this brand, what kinds of products their range offers, and what where you can buy their products. Q: What was the inspiration for starting Blissoma? I had a complex path to arriving at my current profession as a skincare formulator that took me through art school, chemistry and also on my own healing journey as I learned about herbs to help me combat my tendency towards chronic migraines. In that process I learned about how effective plants could be as a way to create long term balance and health for the body. I had tried taking numerous pharmaceutical medications to correct my migraines and they really just caused more problems than they solved. That was the beginning of my loss of faith in much of the Western Medicine approach to healing many chronic diseases. I have always been enchanted with plants, and learning about their unique properties is always fascinating to me. Plants are constantly evolving new compounds to protect themselves and we are able to extract or distill those to benefit people in many cases. Plant medicines work with the body in gentle but powerful ways, especially when used over time. It’s life supporting life, and that part of it has a compelling romance for me as well. I love knowing that what I am using is sustainable and was once a balanced, healthy part of the natural ecosystem. The other thing that keeps me going is the rampant corruption and lack of accountability in the conventional cosmetics industry. Most products are little more than water, petroleum and preservatives in fancy bottles. The marketing claims are overblown and fear of aging is used as a primary purchase driver. I don’t believe in selling to people through fear, and instead try and connect them to the beneficial, inspiring aspects of connecting to plant medicines. 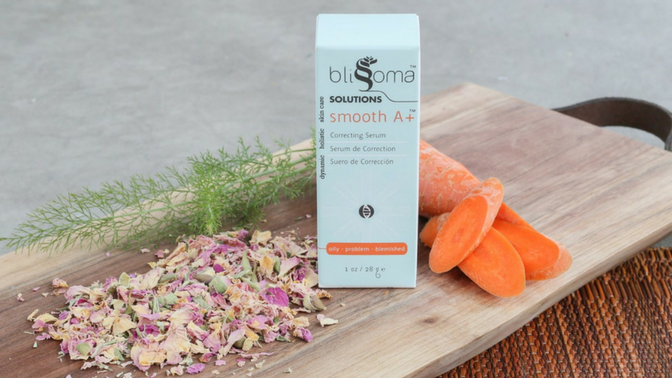 So, Blissoma really represents a paradigm shift not only in ingredients and formulation but also in the attitudes surrounding beauty. Q: What sort of products do you carry? Blissoma makes a full range of spa grade herbal facial care including moisturizers, cleansers, serums, toners, masks, exfoliants and more. We make backbar products for estheticians to use in giving professional facial treatments as well. Our bodycare range includes natural deodorants, antioxidant lotion and a yoga mat cleanser. We also make a range of totally natural aromatherapy candles using soy wax and essential oils. 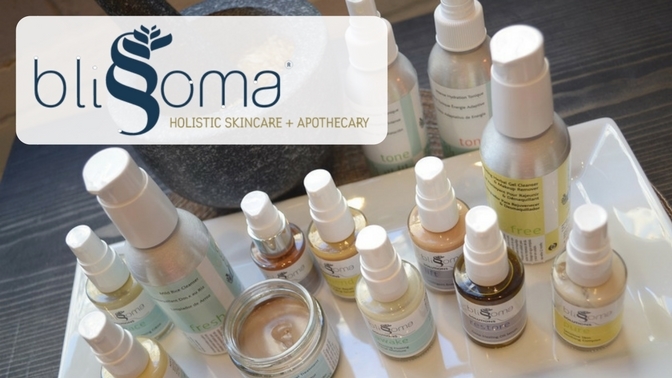 Q: What sets Blissoma apart from other natural skincare companies? I think we have a unique flair for recipe design and targeting specific skin concerns. We have been able to turn around frustrating skin conditions for many people, and often they have been looking for a long time when they find us. It might be acne, eczema, dryness or other issues that is troubling them and the way we handle and combine our botanical ingredients makes a huge difference in how effective the products are for problem skin. I do a tremendous amount of research before creating a new recipe, and it shows in the final product. We don’t formulate based on trends, it all has to be research-backed. As well we offer an unparalleled level of integrity and transparency in our products, and we do it all at a price point that is about half what most lines of our quality charge. I believe that healthy products should be accessible and we work hard to keep our line affordable. Q: You have PETA and Leaping Bunny certification, what was the motivation behind obtaining those? We wanted to make sure to communicate our ethics to people and thought it would be best for them to know that a third party was backing up our statements. Q: Do you have a ‘Hallmark’ product? Something that resonates particularly well with your customers? Our Smooth A+ Correcting Serum is our top selling product and people love it. It’s an anti-inflammatory focused anti-acne serum and it’s very different from most acne treatment products. Most acne skincare dries the skin terribly and causes further imbalance. We focus on hydration and ingredients that create harmony within the skin. “Smooth” has a lovely rose aroma and it’s a nice change from the tea tree oil products most lines make for acne. We try to think outside the box and this product has helped a lot of people for many years now. Q: You have a generous referral rewards program, can you tell us a little about that? Customers can earn $10 for each person that they refer who makes a purchase of $25 or over through their referral link. After 30 days or so if the friend has not made a return the $10 will be automatically deposited to the referring friend’s Paypal account. The friend making the purchase also gets a coupon for 10% off their order, so both people get a little something. If people want to get started they can click here to enter the tracking portal. 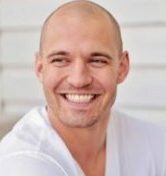 Q: Where can Blissoma products be purchased? Our products are carried on our own site www.blissoma.com and at several wonderful online retailers like Integrity Botanicals and Nuciya Natural Beauty. We also have a flagship natural beauty store in St. Louis co-housed with our manufacturing facility where people can come shop in person. We are also carried by numerous estheticians, and this is the main field where we are growing right now. Spa professionals love our line to use on clients since the results are so good. For a complete list of current locations, including international shopping options people can visit our Locations page on our website.